Established in 1989, Star Fasteners (UK) Ltd has become a leading global specialist in the fastener market and through successive years of growth has become the UK’s largest distributor of Huck® fasteners; as designed and engineered by Arconic Fastening Systems. Based in Nottinghamshire, Star Fasteners has a broad customer base comprising of truck, trailer, commercial vehicle body builders, portable buildings, agriculture, auto and railcar markets. They continually prove the benefits of using Huck fasteners which are used in a wide variety of industries around the world. Throughout the last 20 years, OGL Computer has worked with Star Fasteners and played an integral part in them becoming a leading global specialist within the fasteners market. Not only has OGL built bespoke IT solutions that work specifically for them, but they also supply their business software, prof.ITplus, that brings together all their standard business transactions and their CRM. However, with the increase in cyber-attacks, Star Fasteners knew that not being cyber secure in the 21st century is too big a risk to ignore. They were keen to explore how CyberGuard Technologies, OGL’s Cyber Security division, could help improve their security to protect themselves against cyber threats. Star Fasteners’ Director said: “We have worked with OGL Computer for over 20 years, they have played an important part in building our IT infrastructure. The opportunities OGL has given us is empowering and exciting; however, opportunities also bring risk. “We are all at risk of large-scale cyber-attacks. Poorly secured devices threaten online security, safety and privacy. The services that CyberGuard offers help protect Star Fasteners from the potential devastation of an attack from cyber-criminals. “We’re committed to ensuring that we have the best security we can. This is important for both ourselves and our customers. Defending our identity, reputation, data and our customers’ confidential information is really important to us. Star Fasteners’ Director continued: “With cyber-attacks becoming more sophisticated, we felt that an off-the-shelf package did not go far enough to safeguard our business. Prior to CyberGuard, we had a firewall and a traditional anti-virus product. Malware writers are now constantly developing new ways of deploying malware which is getting more and more complex. A variety of techniques are being used to disguise malicious codes, which can even be hidden within a normal image file. Firewalls don’t block image files downloaded from the internet and this allows the attacker to sneak in the malicious code. We wanted something that could proactively protect us, and this is where CyberGuard’s Detect & Respond Services fit seamlessly into our business activities. “The CyberGuard team suggested that we moved from our traditional anti-virus product to a next-generation anti-virus product called Carbon Black Defense. This has really helped improve our security as it uses detection methods based on user behaviour to identify and block what could be malicious behaviour. It’s exactly what Star Fasteners needed as it prevents attacks that would evade traditional anti-virus products. There is not a week that goes by without a cyber-attack coming to our attention. With 300,000 new malware variants each day, we cannot afford to be complacent. An innocent-looking file downloaded from the internet with a ‘trojan’ embedded, or a malicious email attachment, could cause chaos. The cost, stress and time of dealing with a cyber-attack could be devastating. “The team at CyberGuard are experts in their field, they suggested having a managed firewall to help control cyber-attacks. This is different to a traditional firewall as this is all managed by CyberGuard and offers us complete peace of mind. The constant monitoring and maintenance of our firewall helps to identify potential security breaches and protect our staff, data and ultimately our reputation. “We receive regular CyberGuard email bulletins, these help to ensure that we are kept aware of any new developments and give up-to-date advice that we pass on to our employees to keep them safe whilst at work and at home. For over two decades, OGL has built up a great working relationship with Star Fasteners which includes offering products and services to help improve their cyber security, IT solutions, and their business software. Star Fasteners’ Director was happy to shed some light: “We chose OGL to help us manage all of our technical services and to be our guide in this ever-changing industry. For us it’s imperative that OGL is involved right from the start of any new project. Their teams are really proactive in finding a cost versus operational balance that fits perfectly with our organisational needs, from choosing a new piece of hardware, to managing the programs and applications. We know that everything they suggest will work in conjunction with what we already have, and that security is embedded into the process every step of the way. “They are our trusted ‘go- to’ supplier for IT solutions. They make it all so simple, no matter what the issue, we know that they have the professionals who really know their stuff to sort it out for us! “The IT support that we receive from OGL ensures that Star Fasteners is always working on the most up-to-date software. We’ve always benefited from a managed service and ongoing, proactive IT support covers everything needed to ensure our technology runs smoothly so there’s never any downtime. “Having Cloud Recovery ensures that our data is backed up securely. With ransomware threats constantly in the news and new ways for data to be encrypted, hijacked files can demand a high ransom. Cloud Recovery gives us the assurance that in the event of a disaster, key workers will have access to critical data, operating systems and IT applications. “OGL also supply us with Office 365 which gives us access to our email wherever we are and whenever we need it. 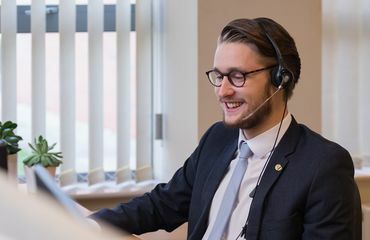 “IT is a complex and time-consuming task, but by outsourcing the management of our IT infrastructure to OGL, we free up our internal resources, get to use state-of-the-art products and have the benefit of access to talented IT specialists. “OGL provides us with our business software, prof.ITplus, which manages all our daily transactions. This gives stock and orders full traceability and ensures that we meet our customers’ expectations and comply to ISO 9001:2015 standards. It’s a powerful business tool and brings together all of our standard business transactions. Over the years we have added Customer Relationship Management (CRM) and more recently OGL’s ROAD (Remote Ordering) module. “prof.ITplus has simplified our processes and ensures that everyone within Star Fasteners is following the same procedures. It has enabled us to personalise our service and makes the scheduling of follow-up tasks quick and easy. “Without Stock Control and the Works Order Processing modules we would not be able to forecast stock usage so accurately. We have the tools to be able to calculate just the right amount of stock required at any point in time to meet the needs of our customers. “Since installing our in-house powder coating system and adding plastic encapsulated Hucktainer® fasteners to our new products inventory, the Works Order Processing module has been an excellent investment. 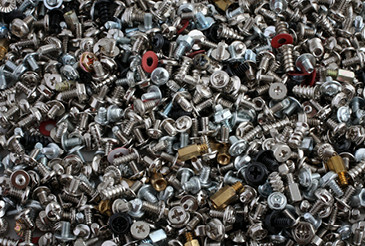 We are now able to keep track of fasteners that are in the manufacturing / finishing process. “ROAD is our newest OGL module. It enables our staff to check stock, create quotes and process sales opportunities remotely. We are just getting to grips with barcodes on our consignment stock systems, but we are confident this will speed up our sales order processing and inventory management. Star Fasteners’ Director concluded: “CyberGuard and OGL always take a hands-on approach to preventing technical issues. We meet regularly with our CyberGuard, IT Solutions and Business Software representatives and together we always come up with something that we can tweak or update. Often long-term goals and ways that they can help our business to run more smoothly are discussed. “If we do experience a technical or a particularly complex problem, all three divisions can work together to resolve any issues. This makes finding the final solution a lot faster and reduces our stress levels. “OGL has been an integral part of Star Fasteners’ IT developments for many years and we see no reason for that to change. We are currently in the process of working with OGL to design a new website to incorporate their eShop module; CyberGuard will be there during the design process to ensure that it is fully secure.